You have heard the tale of the perfect black bootie countless times but Mei from ATP is the real deal. Suede version of the boot gives a little flirt and softes to the classic look. Slender silhouette to go with jeans or a skirt, rounded toe and modest heel height for your everyday life. Stable block heel and rubber outsole is a perfect combination for winter season. Metal zipper in gold tone at the back of the shoe creates a finishing touch to this minimalistic ankle boot. Wrapped block heel with rubber cap. You can now end your search of The One. 1 x Mei Black Suede was added to your shopping bag. 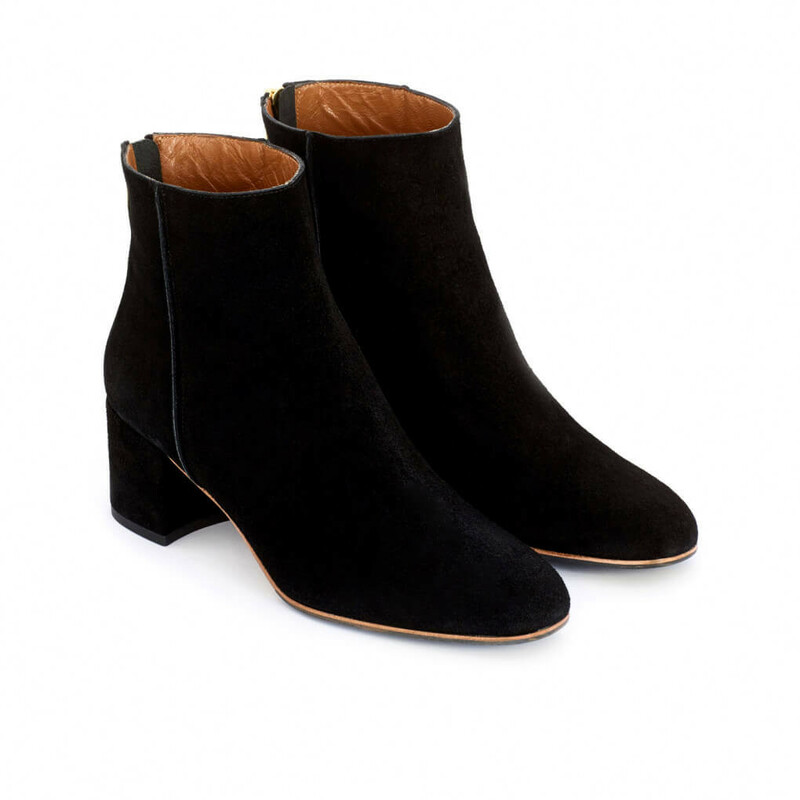 1 x Mei Black Suede was added to your wishlist.